So, going further than the gimmickry, it is not going to replace a console/screen combination; at least, not for me. The controls are way too sensitive, and I have shaky fingers. In any case, it is not going to be doing it for me, as I will never be able to master the flat screen commands. Once I get used to the triggers which are now very sensitive, I think I am going to favor it as a controller. 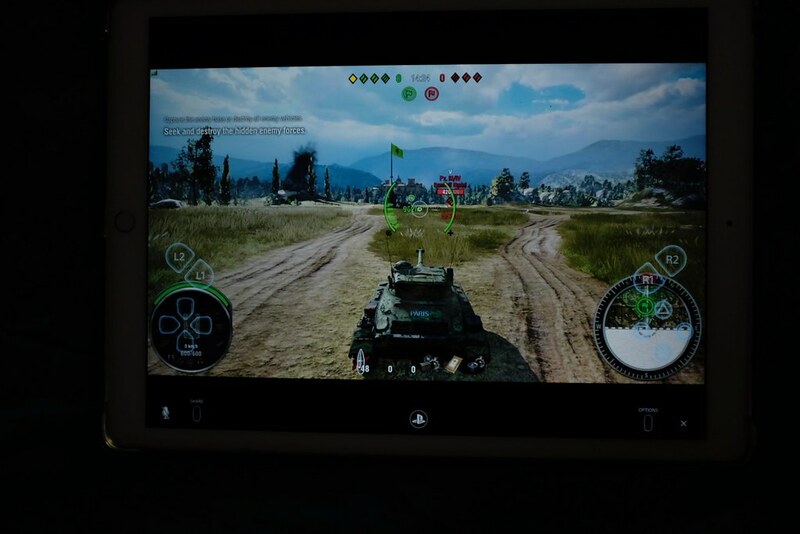 It says that it may not be compatible with all the games, so it is an open question about WoT, as my iPad 3 and my very old smart phone are not compatible. 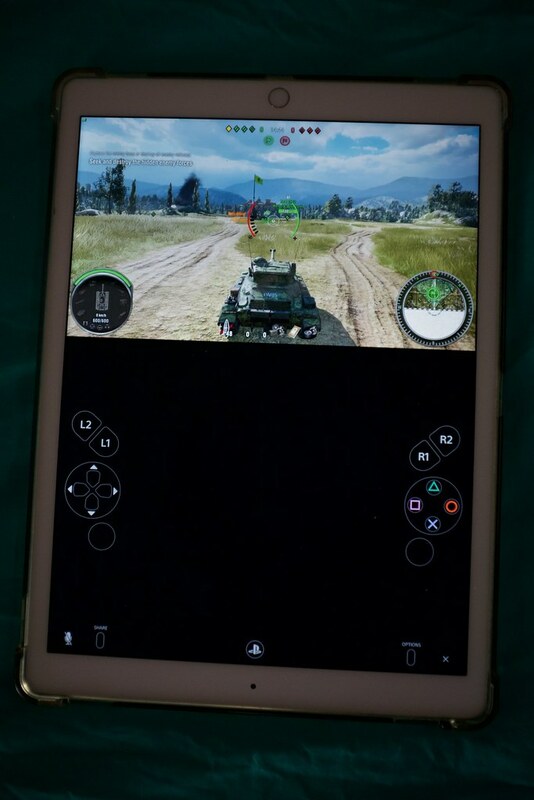 the ability to carry a slim PS4 in a remote place and use a mobile media (large iPad maybe) as the display; not sure how easy to play. With these high resolution iPad Pro, it maybe interesting and a little more portable. See if there is any advantage in precision to control your tank with your media. If any of you guys have the ability to try it with world of tanks, I would be interested to get your feed-back. Just as I am typing this, I read there was a "Black Friday" price drops on iPads, so I maybe interested. I have taken my slim PS4 on travel with me before, but hooking it up to a hotel TV is not always easy. Edited by P6X330, 08 March 2019 - 01:54 PM. I saw that update, but didn't bother to try it on a new Ipad I got for Christmas (I don't use it as my old one still works). I may have to give it a go. Just upgraded my PS4 few hours ago. But didn’t know for this new feature. I’ll try it later. Seems interesting. I didn't play a game, but I did load it up....pretty dang neat! Playing while on vacation...or any time you are away from your PS4. Not sure how responsive it would be, but I do like option. 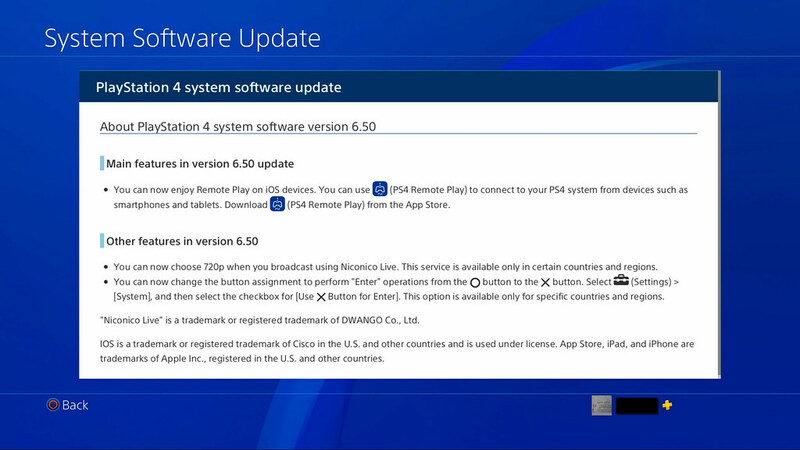 Thus, you are able to be outside on your patio, still within Wifi coverage, and you would be able to remote play WoT. But that would not work using your operator's network. You have the ability to play in any room of the house/apartment, independently of where your PS4 and screen are located; although, playing on a small iPhone is restrictive, with the new large screened iPhones and iPads, I bet this can be really interested. Is the haptic controller a more efficient way to play once you mastered it? this should also be an interesting feed back. Obviously, on the small phone I tried, iPhone 6 from 2014, it is maybe not optimal. I would be interested in getting feed-back from those people who used a keyboard and mouse before, how different it is to play on a flat screen. If I remember well, Lady Tanker plays together with her spouse, and she said that they had to play in a different room; two different PS4's, two screens. How many of us are in that situation? I have two PS4's too, but they are in different rooms. i play with a ps4 in another room, already try stream on laptop with a ps4 controller but there is a lag. It's good to have more choice to play. I beat dark souls 3 using a Rock Band guitar controller. Not impressive compared to the guy who beat it using a fishing peripheral, but the point is that the controls are better optimized for a standard controller. Added pictures using large iPad.